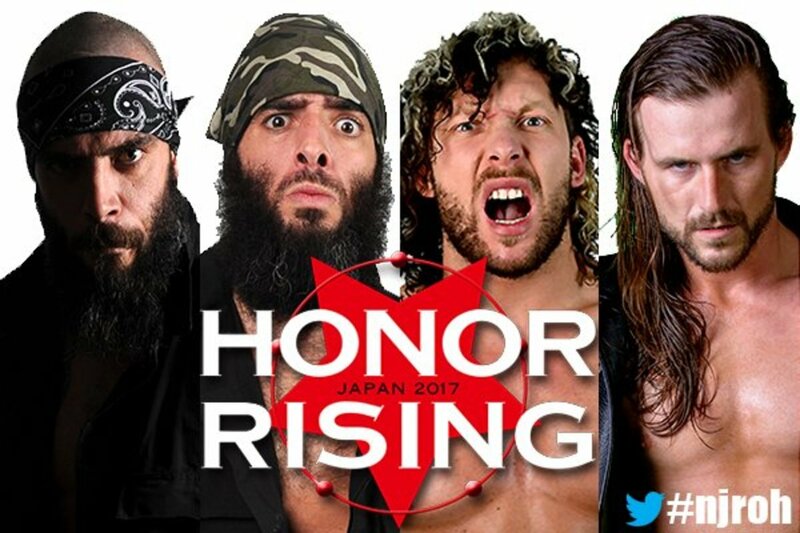 Ring of Honor and New Japan Pro Wrestling have announced the lineups for their joint shows on February 26th and 27th at Korakuen Hall. The biggest title match will be on the second night with Yoshi-Hashi challenging Adam Cole for the ROH title. This match was set up at New Year's Dash on January 5th when Yoshi-Hashi pinned Cole in a trios match where Rocky Romero, Baretta & Yoshi-Hashi beat The Young Bucks & Cole. This also explains why Yoshi-Hashi beat Takashi Iizuka via pinfall last week in Sapporo. Two other title matches will be on the shows as well, with a NEVER trios title match on the first night where Jushin Liger, Tiger Mask & Delirious will challenge new champions Sanada, Evil & Bushi, and in a match out of nowhere, Damien Martinez of ROH will challenge Hirooki Goto for the NEVER Openweight title on the second show. Cody Rhodes will be getting his sought after match with Katsuyori Shibata, but it will be in a tag match on the first night. Kenny Omega also returns in the main event on the first night, teaming with Cole against the Briscoe Brothers. Both shows will air live in both English and Japanese on New Japan World at 4:30 a.m. Eastern time.